When WaterSHED began to build the market for toilets, the NGO needed to grow demand in lockstep with supply. 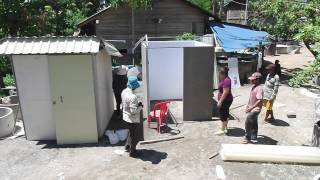 We partnered with dozens of local construction businesses to produce toilets. But in Cambodia’s rural business environment, the construction businesses that produced toilets lacked capacity to market and sell the product. We needed to consider another mechanism for promoting toilets. We wanted to avoid establishing our own sales force, thus, embedding ourselves in the market as a service delivery provider. We wanted to stay true to our Hands-Off philosophy. Instead of hiring a sales team, we hired a team of “Facilitation Specialists” whose role was to act as advisors in the market. As Facilitation Specialists, they trained and built the capacity of independent sales agents to effectively promote toilets at sales events or through door-to-door sales; they advised local government and village leaders on strategies for community development in areas such as sanitation; and they advised local construction companies on best practices for a profitable business. These Facilitation Specialists were essentially the brokers between the different actors in the toilet economy. 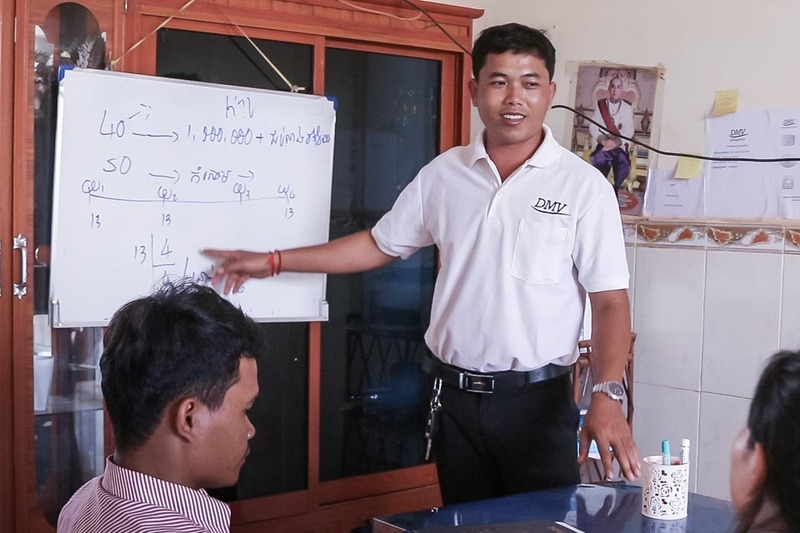 In 2017, he followed his dream and founded Develop My Village (DMV) – a toilet business in Cambodia’s Thbong Khmum privonce that brokers sales for local construction businesses. Today, Thun employs seven employees to help him promote toilets. His company also connects customers with micro-finance institutions (MFI) and ensures partner construction businesses produce a quality toilet, deliver it, and install it without delay. His team averages 40 to 60 toilet sales per month across the province.